Lorne Kennedy has spent the majority of his career working in various roles within the water leisure industry. He began managing swimming pools then made the move into sales at Brenntag, where he spent eight years as UK Sales Manager. 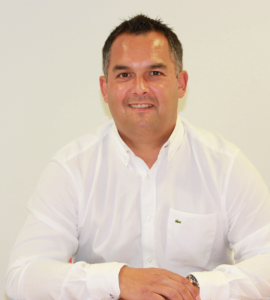 In 2011 Lorne joined Barr + Wray as European Sales Director and he has recently taken on the role of Operations Director. Tell us about your career in the pool industry? I started off in the leisure industry managing swimming pools including private, public and university campus pools. After working my way up the ladder, I found myself at the top of the tree at an early age and realised this wasn’t exactly what I wanted to do. At that time I was enjoying working in the industry and I was still at an age that a change in career direction would not be a big issue. So I made the move into sales and haven’t looked back. How has the industry changed in that time? I think there has been several changes to equipment within the swimming pool industry, with a focus on improving water quality, reducing costs and improving reliability, whether this is through filtration media, variable speed drives or filtration processes. What’s the best part of your job? The best part of my job is being a key contributer to the continual growth of the Barr + Wray’s pool and spa business. This is only achievable by having a dedicated and enthusiastic team working for the business. What projects are you currently working on? We have lots going on at the moment, including projects at Sparkhill Leisure Centre, Newbattle Community Pool, Strathclyde University, One Blackfriers London and Freemans School. What have been the landmark moments in your career? The highlight of my career so far has been securing our largest individual project – the £4million Centre Parcs Woburn Forrest project. What’s the best piece of advice you have been given? And by whom? From an early age, my mum always taught me that your life is what you make it so live it with no regrets. What do you think are the main challenges facing the pool industry at the moment? I think the main challenges are financial constraints with so many cut backs and lack of spending due to the uncertainty of what lies ahead with Brexit. What direction do you see the industry heading in? No comment until we see the effect Brexit has on our country! What are your hobbies and interests outside of work? I play golf a minimum of once a week throughout the year and when I’m not spending time with my wife and three children, I go to watch my beloved football team – Glasgow Rangers.